Formaldehyde (FA), a well-known indoor and outdoor pollutant, has been implicated as the responsible agent in the development of neurocognitive disorders. Hydrogen sulfide (H2S), the third gasotransimitter, is an endogenous neuromodulator, which facilitates the induction of hippocampal long-term potentiation, involving the functions of learning and memory. In the present study, we analyzed the effects of intracerebroventricular injection of FA on the formation of learning and memory and the generation of endogenous H2S in the hippocampus of rats. We found that the intracerebroventricular injection of FA in rats impairs the function of learning and memory in the Morris water maze and novel object recognition test and increases the formation of apoptosis and lipid peroxidation in the hippocampus. We also showed that FA exposure inhibits the expression of cystathionine β-synthase, the major enzyme responsible for endogenous H2S generation in hippocampus and decreases the production of endogenous H2S in hippocampus in rats. 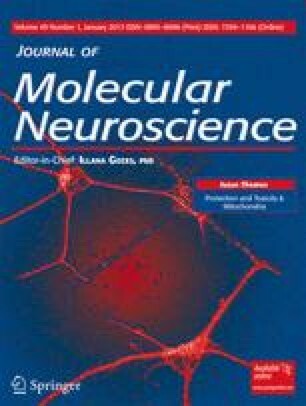 These results suggested that FA-disturbed generation of endogenous H2S in hippocampus leads to the oxidative stress-mediated neuron damage, ultimately impairing the function of learning and memory. Our findings imply that the disturbance of endogenous H2S generation in hippocampus is a potential contributing mechanism underling FA-caused learning and memory impairment. X.Q. Tang and Y.Y. Zhuang contributed equally to this work. This study was supported by Natural Science Foundation of China (81071005 and 81200985) and the Scientific Research Foundation for the Returned Overseas Chinese Scholars, State Education Ministry (508).